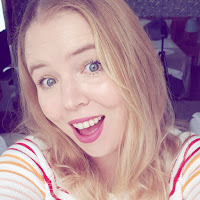 I very nearly didn't write this post. It's been a pretty tough week. Poor Bruce the cat went into the vet last Thursday, the vet felt his stomach and then left the room saying "I need to speak to the surgeon". He had a blocked bladder and is currently still in the vets, although doing well at the moment. We've had to have incredibly difficult conversations about money and whether or not we could afford to pay for his treatment, and at what point we have to draw a line. We don't have insurance but put aside money every month. That worked fine until Bruce was ill twice last year and totally decimated our cat savings! My mother in law is awaiting brain surgery to remove a tumour and has been rather unwell this week. She's now in hospital and hoping to have the operation very soon (it was meant to be yesterday but was cancelled very late on). I have managed to get cellulitis in my foot, which is incredibly painful. Luckily I knew what to look for and my GP didn't even need to see me before he prescribed antibiotics and faxed the prescription to my local pharmacy. It's not hurting so much today! Having dinner by candlelight. 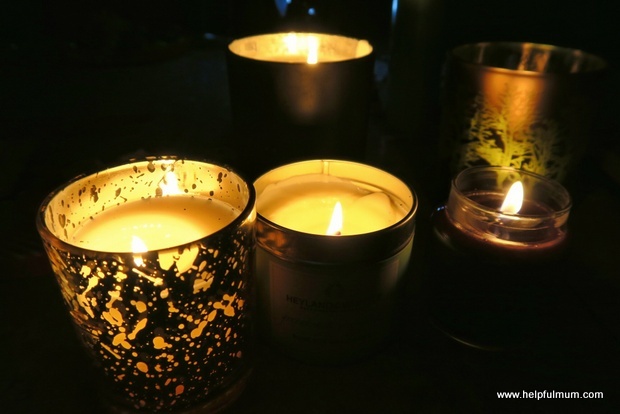 We had a powercut in the storm last week and it was actually really relaxing to sit with the candles gently flickering. We are lucky to have emergency lighting here so are never really fully in the dark when there's a powercut, and the AGA stays on so we can still cook. 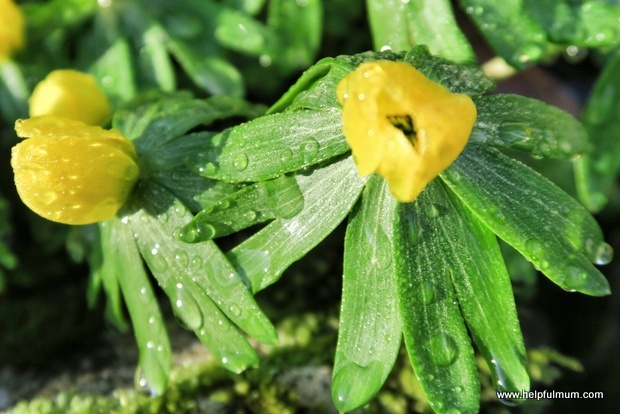 The aconites are still looking gorgeous in the garden. They're a welcome flash of colour in an otherwise saturated brown muddy expanse. 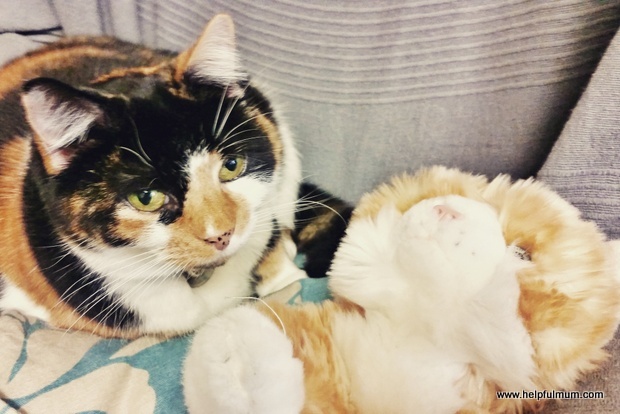 Bella has been sleeping with a Bruce substitute. I'm not entirely sure how much she's missing him, but she's certainly requesting extra cuddles. I hope she gets the real thing back soon enough. My daughter really made me smile when we were eating pancakes. 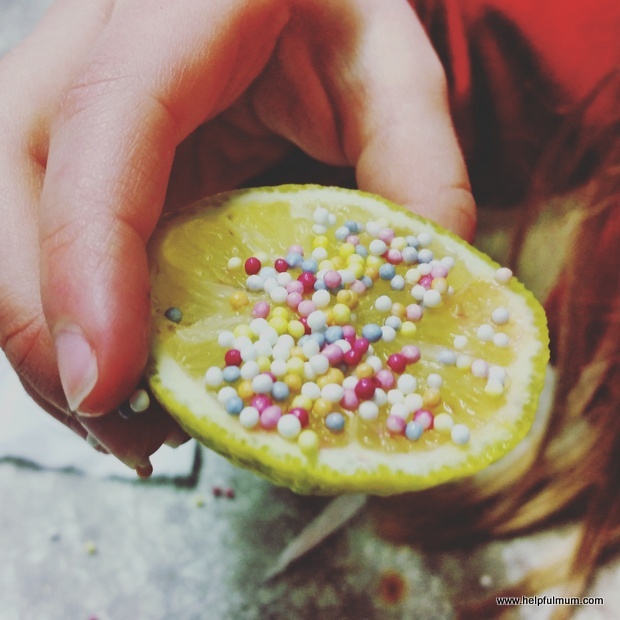 She decided she didn't like them, but opted for lemon with sprinkles instead! I have no idea how she ate so much lemon. Today I just sat on the steps in the garden for about ten minutes with the sun on my face. It felt so good to feel the sun and it's been so long since it was possible. 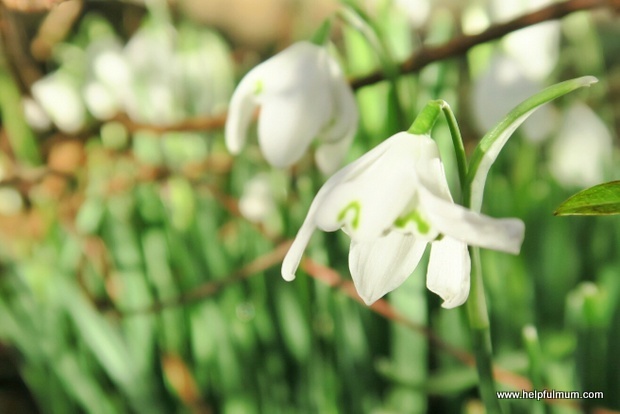 The sun shining on the snowdrop seemed to highlight how white it is, they really are incredible. 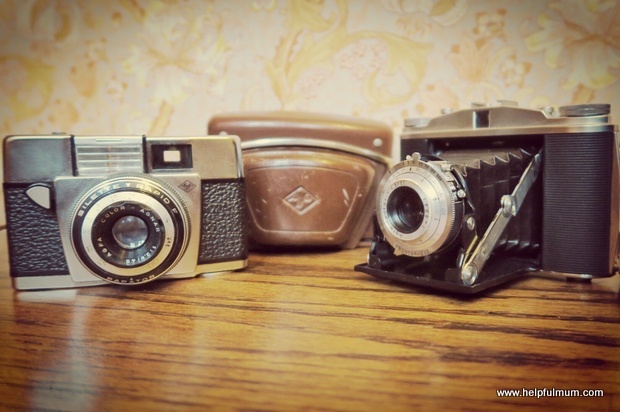 I found these vintage cameras in the office when I was hunting through the cupboards. They apparently belonged to my great-grandfather and one of them still has a roll of half-used film in it. We're going to see if it's possible to develop the film. I really hope there's something on it! What has made you happy this week? What are the little things which have made a smile creep across your face? I would love to know.